Question: Is it wrong to buy household appliances as a Christmas gift? Not at all! Some of these items are not exactly cheap so we can't bring ourselves to spend the money. Furthermore, they're so useful and we can use them almost everyday. I would love to receive my wish list items as gifts. Fried food without the heat and sweating? Yes, please! 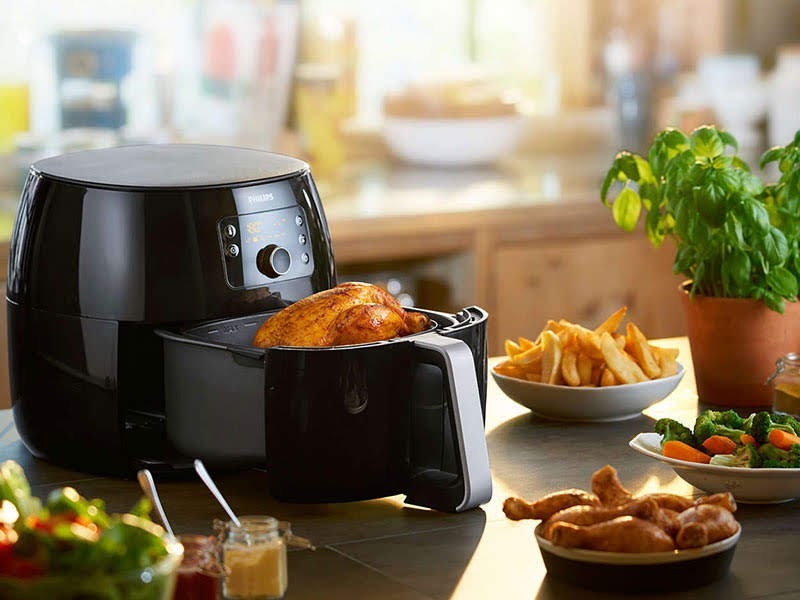 Fry, bake, grill or roast in the largest Airfryer capacity yet, perfect for families. Twin Turbostar technology removes up to 50% of fat from food too. You can view some of the meals you can cook in the Airfryer in my recent blogpost. The latest pressure cooker, fresh out of the AirFryer oven. I have a Philips Pressure Cooker and it's amazing for both beginner and advanced cooks! Dishes and Cantonese soups I never imagined I could cook can be done so much faster and it's cleaner than stove top. This new multicooker has many multi-cook programmes including steaming, baking and yoghurt-making. 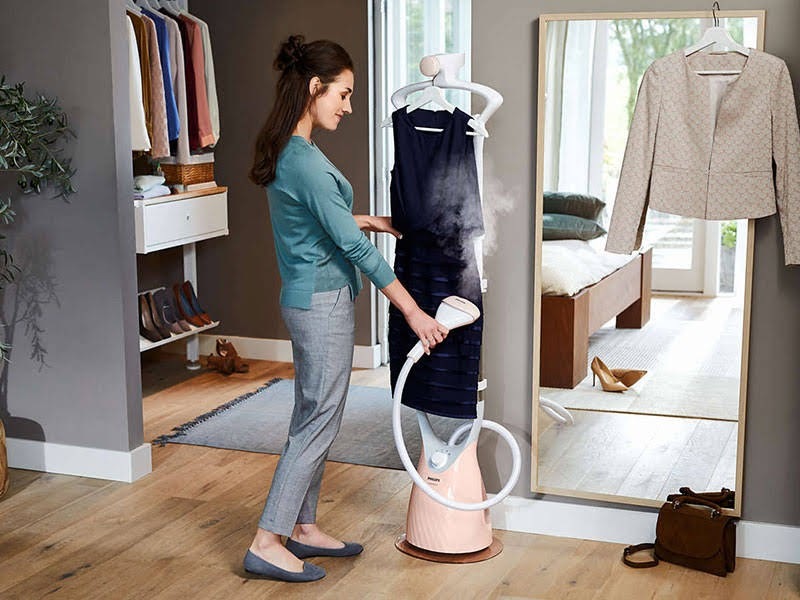 Trust me: People who have to iron their clothes secretly wish for a steamer! Dream of wrinkle-free clothes with the wave of a wand? This steamer is perfect for tricky outfits like silk, frills, layers, pleats and more! Safe to use on all ironable fabrics with no risk of burns and easily kills odour-causing bacteria. Getting ready can be faster and easier even for those of us who do not curl our hair regularly! Easily create beautiful curls even at the back of your head. 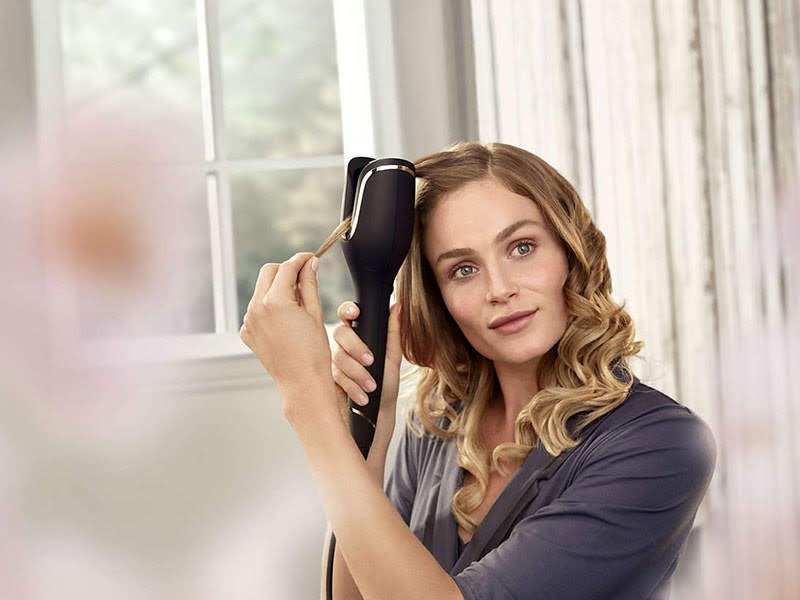 The longer barrel can curl twice as much hair at one go while the smart curl guards prevents hair from getting jammed. The protective ceramic coating with keratin infusion cares for your hair, while the improved chamber protects both your hair and your fingers from burns. If none of the above apply, there's always the Air Cleaner for homeowners! It effectively removes particles, allergens, bacteria and viruses for fresher, cleaner air. 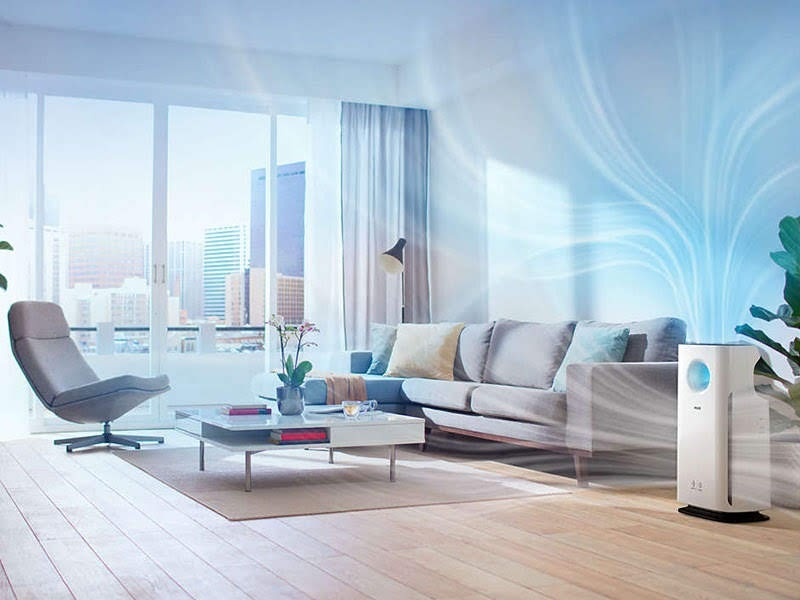 This advanced air purifier allows you to control it through the app - turn it on, change the fan speed or check your filter lifetime. It can also check indoor and outdoor air quality and pollen levels. yeah Christmas just few weeks away, still have to figure on what to shop. Great sharing here as now can tell my friends who are hunting for Christmas gifts. So many types of Philips products to choose from. Ohh I'm gonna show this to my husband, hints for him hahaha since I need another air cleaner in my living room. #11 Indeed! Its not wrong to buy household as a gift. I really hope one fine day, will have somebody give me airfryer and air cleaner. Hihi. Its such a wonderful feeling when our list wish achieved! I memang teeingin nak aorfryer dan air cleaner tu. 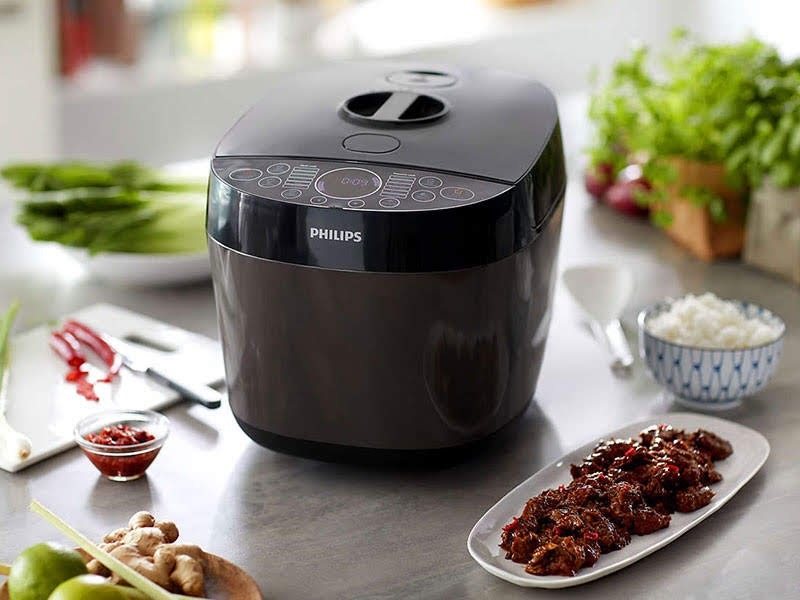 Airfryer tu mudahkan kerja memasak di dapur Air cleaner pun patut ada di rumah untuk bersihkan udara .Sekarang udara pun tak fresh kan .
wowww all the items are on my wishlist especially air fryers..philips is the best brand for electrical appliances!hope will get one as my birthday present..haha..
Wow there is so much to choose from Philips. I memang akan happy if I dapat hadiah2 ni especially the multi cooker or air fryer. omg yasss i am indeed looking forward to have all these items in my house later! especially the air fryer, since it’ll definitely made my life easier with less mess and healthier without the excessive oil etc right hehe. and that steamer iron, my mom does have one for her boutique before so yes i do loves having it too for my own haha. indeed, totally dig for all of these items! I WANT ALL! Hahhahaha. Seriously those are household goals. Oh, adding the dryer and that would be perfect! Why the air cleaner so expensive one T_T Hope I could get my hands on at least one of those beaute. Philips ni I prefer air fryer tu. Confirm gembira si penerima hadiah tu. Hahaha. Lagi Satu steam iron. Penyelamat! if you ask me which one? i will choose that XXL Airfryer. Its in my wish list and hope i can get it soon. and the rest is the good gift to give during christmas. Ada orang nak hadiahka i Air Fryer tu tak? Kalau dapat air fryer tu, i rasa dah lengkap perkakas letrik umah i ni. Tak payah nak berminyak2 sangat makan nanti. Thanks for sharing article with us.